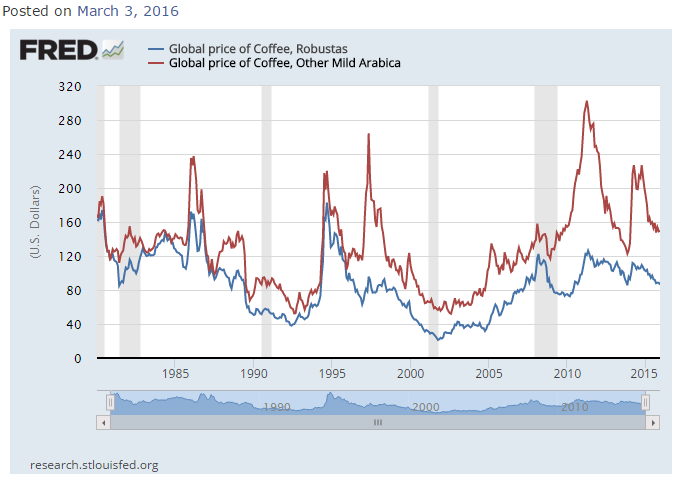 Coffee prices and coffee retailers appear to have an inverse correlation, and a strong one at that, according to Bloomberg. 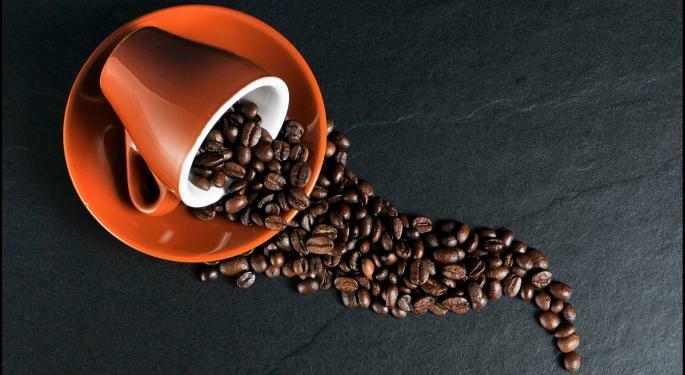 Commodity-dependent retailers like Starbucks Corporation (NASDAQ: SBUX) and Keurig Green Mountain Inc (NASDAQ: GMCR) have enjoyed low coffee prices because, as explained by Sanford C. Bernstein analyst Sara Senatore, coffee is “one of the biggest inputs” influencing the retailers profitability. Said differently, “[W]hen (coffee) prices fall, (retailer’s) earnings improve because coffee represents as much as 20 percent of the company’s cost of sales,” Bloomberg explained. Therefore, continuing with this line of logic, if coffee prices rise, Starbucks, Green Mountain and other peers in the space are likely to see their numbers hit. Weather, as fickle as it is, has a strong influence over coffee prices. There are two species of coffee that are found in commercial coffee and coffee-based products. Over the past 10 years, Starbucks is up a whooping 230 percent, and Keurig Green Mountain is up an even more impressive 2,965 percent. Over the past year, Starbucks is up 26 percent and Keurig Green Mountain is down 28 percent. 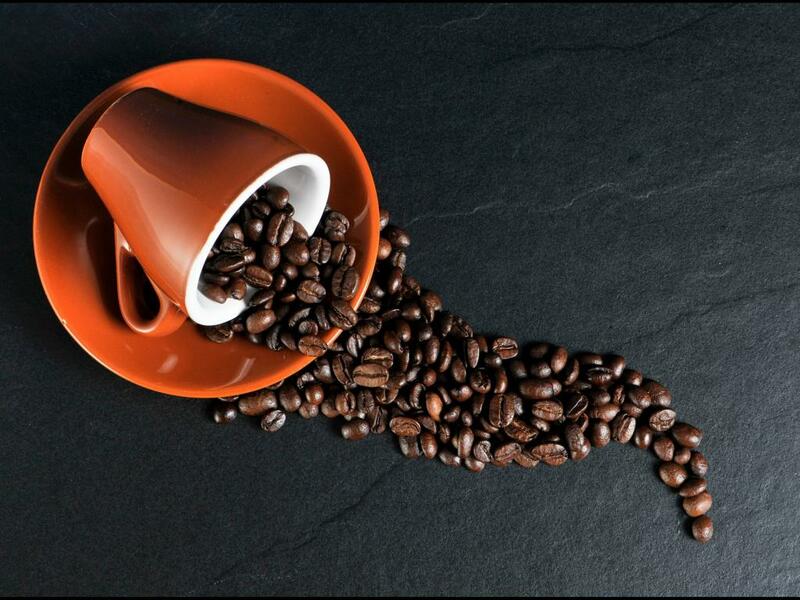 If the commodity stays low, Starbucks and coffee-retail peers are likely to continue enjoying robust numbers; if, however, coffee reverses, Starbucks may be in for some disappointment. JAB completed its acquisition of Keurig this week, and the stock no longer trades.